In the early years of the twentieth century, Father William Sirr of the Society of the Divine Compassion (SDC) felt called by God to leave his work in the East End of London to begin a contemplative life of prayer in a more secluded setting. 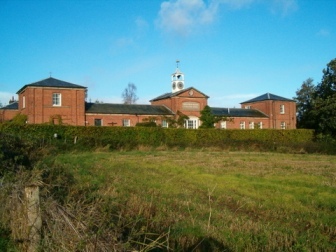 In the winter of 1918 he moved to Glasshampton and established the religious life in this place. For nearly 20 years Fr. 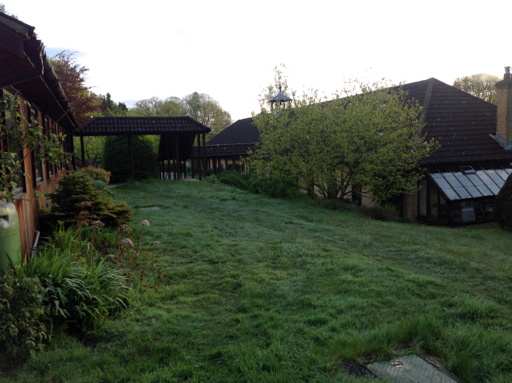 William lived here, leading a life of silence, contemplation, intercessory prayer and manual labour. He renovated the building to make it habitable again. People came to stay for shorter or longer periods of time, finding in him a spiritual director of great holiness. He had always hoped to found a contemplative community at Glasshampton, but as the years went by it became clear that no community was going to form around him. Fr. 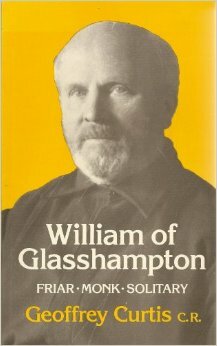 William died in 1937, and in 1947 the Society of St. Francis were invited to come to live at Glasshampton. For a review of the book, see “Theology” June 1947 vol. 50 no. 324 pp.233-234. “The Revd. William Sirr was a member of an Anglican religious community, the Society of the Divine Compassion, at Plaistow, in East London. In 1906 his picture appeared in the Daily Mirror under a headline, “Clergy join the Procession of London’s Unemployed.” The caption went on to say, “Father William led the West Ham and Plaistow men with a banner bearing the words, ‘In the name of Christ we claim that all men should have the right to live.” He had that year been elected Superior of the Society, which office he held for six years. About 1911 he began to feel that he was being called to a life of prayer rather than that of active work. at Oxford. In 1918 he again requested permission to take up a life of monastic enclosure. Approval was still withheld at first. But by that time Father William had heard that the stables at Glasshampton would be available to him, and a new Superior allowed his release. conducted at a painfully slow pace, and the life proved to be beyond surviving. This entry was posted on January 4, 2014 at 5:08 am and is filed under Uncategorized. You can follow any responses to this entry through the RSS 2.0 feed. You can leave a response, or trackback from your own site.